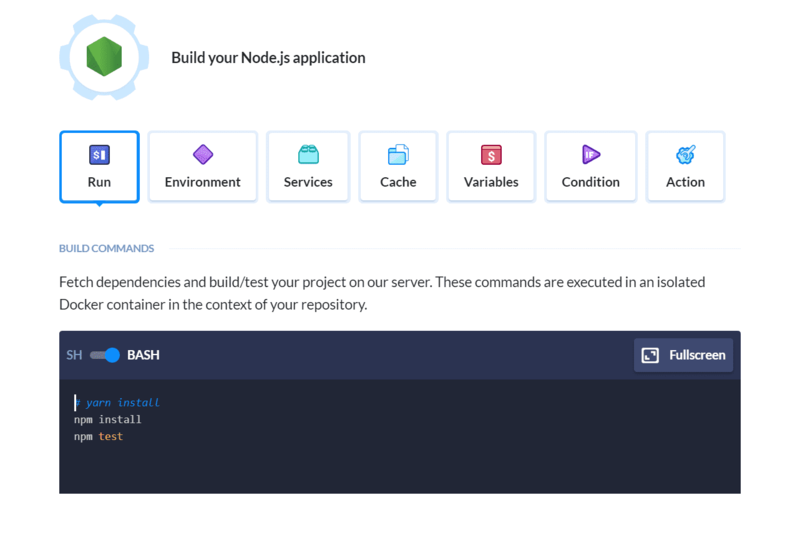 In this short guide we’ll show you how to manage dependencies and build a front-end application with Gulp, and deploy it safely to to the server. 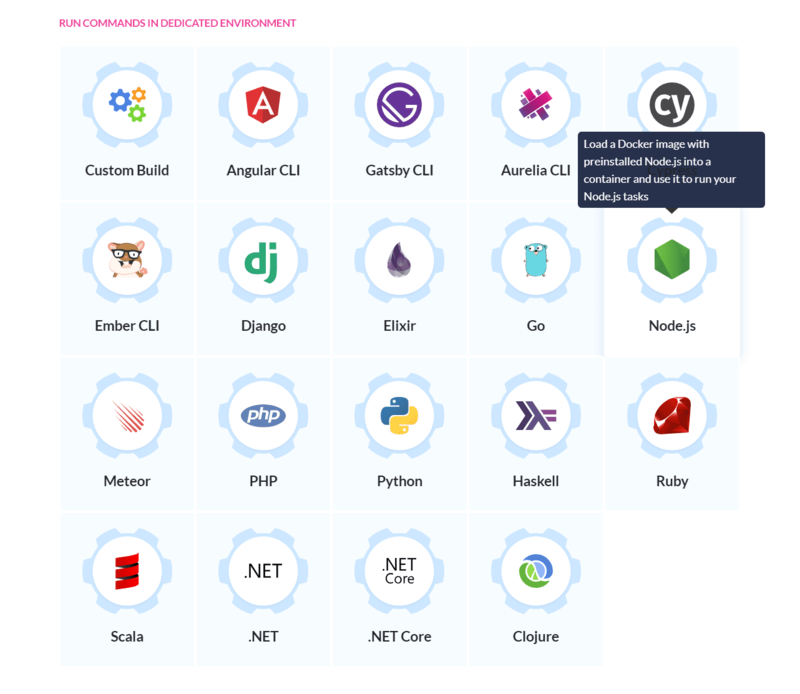 All the tools listed make it easier to work on the project: keep dependencies under control, improve application performance, and as a result deliver better code, optimized and free of errors. 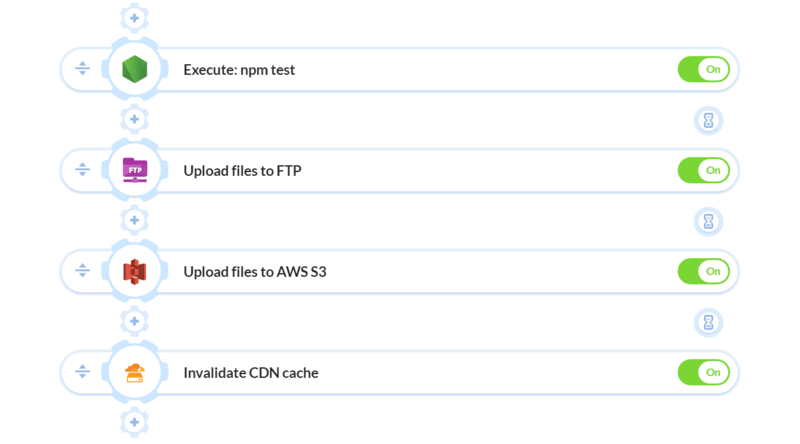 However, there’s one little thing in the development process when things might get out of hand: deployment. Like we already said, previously you just uploaded the files to the server and, bang, the release was ready. Some developers think they keep it simple today by keeping the dependencies (vendor, node_nodules dir, etc.) and compiled assets in the repository. If you are one of these developers, please STOP IMMEDIATELY. These things should never have found the way to your repo! If you store artifacts in the repository, you need to remember to compile the application before every commit, so you can commit the altered artifacts together with the changes to the source code. It’s very risky because if you forget to update the artifacts in the repo, deploying your application to Production server may cause serious problems. The tasks that you use to compile, minimise and concatenate files may produce different results: it’s enough that developers on your team use different versions of Node.js. Commiting such files to the repository will incite constant conflicts that need to be solved manually. This makes branch merges very troublesome. An application compiled in version X of Node.js may not work properly in version Y – yet another human factor issue which makes it difficult to be 100% sure that the generated artifacts are compatible with the Node version on the Production server. The previously mentioned human factor adds to the overall length of the release. What’s worse, it may generate errors very hard to pick up and diagnose. 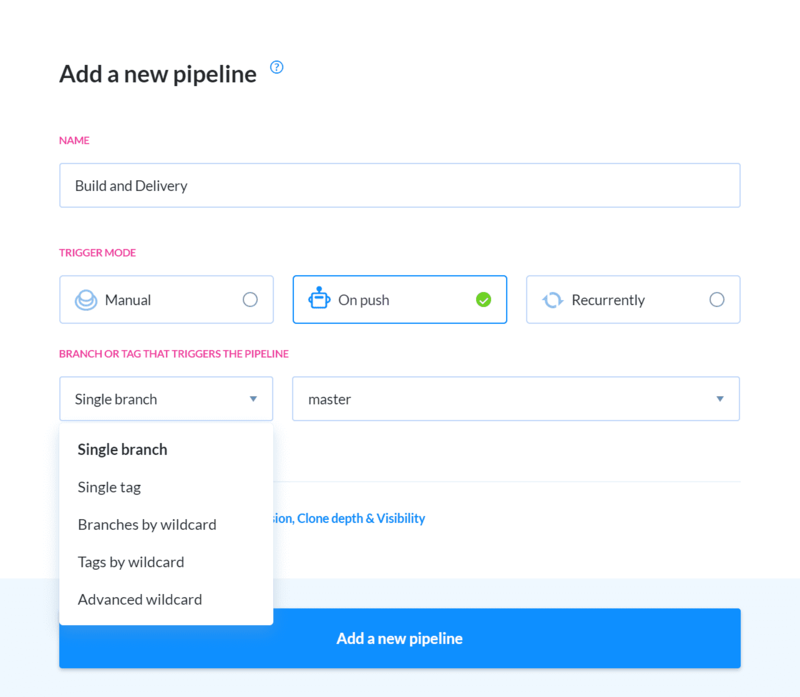 In this part of the guide we’ll show you how in 5 minutes to create a delivery pipeline that will automatically fetch dependendencies and run Gulp tasks. Go to https://buddy.works and sign up with your GitHub/Bitbucket account or email address. 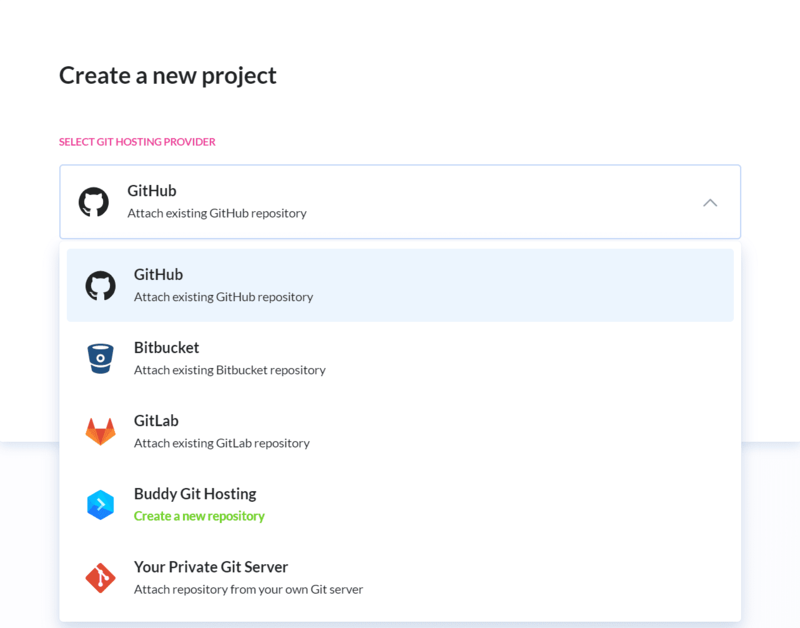 Buddy supports GitHub, Bitbucket, GitLab, or any other external repository. 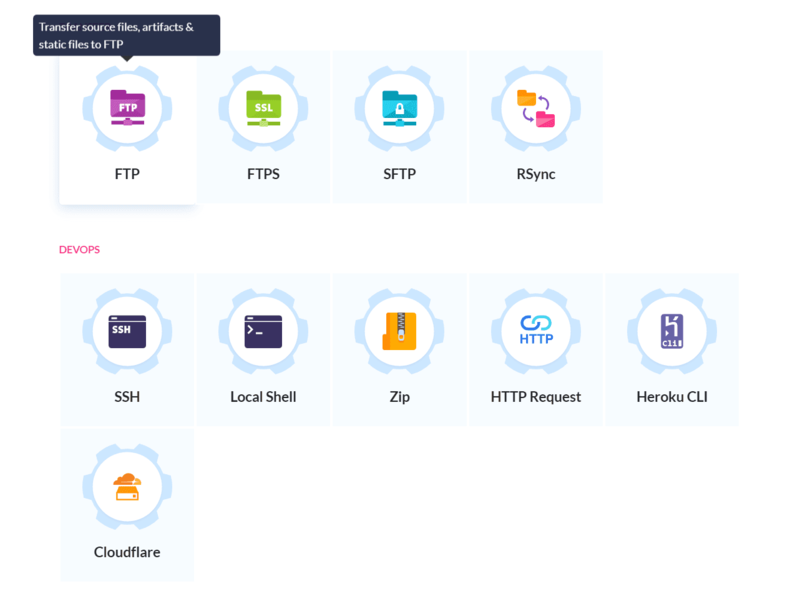 You can also use its fully-featured native hosting with merge requests and branch permissions. 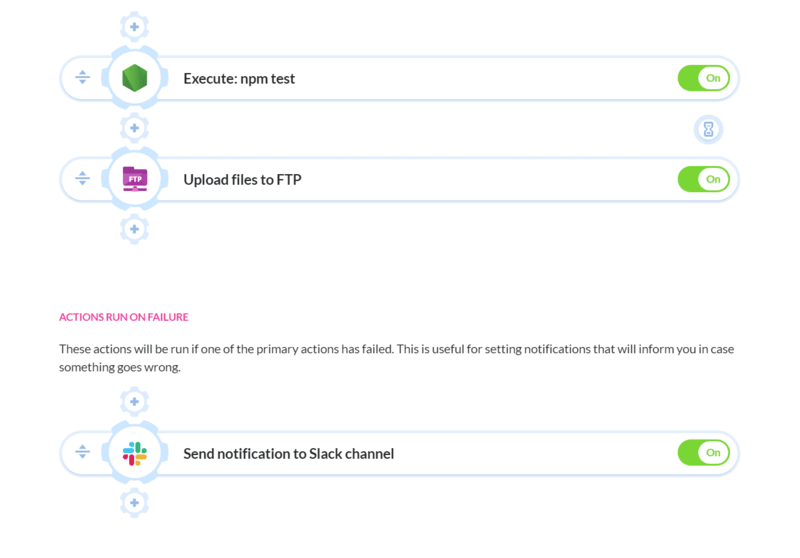 Configure the branch that you want to deploy, and set the trigger mode: manual (on click), automatic (on push), or recurrent (on time interval). Make sure to save the changes to add the action to the pipeline. Now, make a push to the triggering branch and watch BuddyWorks automatically build and deploy your application the very way it should be done. 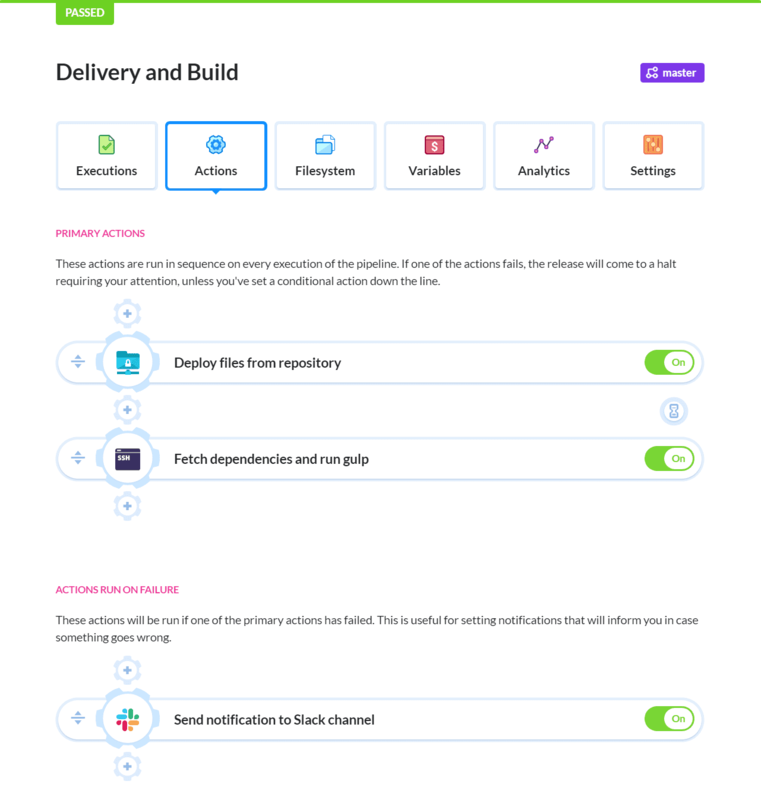 It all depends on your needs and the profile of your workflow: just sign up at https://buddy.works with your GitHub or Bitbucket account, give it a spin, and let us know what you think! Deploy your frontend applications on every push to your repo.